We’ve all been there right guys? You want to celebrate how awesome your wife is, then you ask her what she wants and it’s met with, “I don’t want anything”. Game. Set. Match. Or is it?. You still need to get something, but what? With that in mind here are 20+ gifts for the woman who wants nothing these gifts will take care of your problem. This are also great gifts for the women who has everything. Because there is always something else you can get her! This is an elegant watch but it acts like a smart watch. The Gold Fossil Smart Watch battery lasts around 6 months on a single charge and lets you know when you have texts and notifications. If you have someone who is looking for a smart watch but doesn’t like clunky, this is your answer. It doesn’t matter how hot the house gets in the winter time there is always room for a heated throw blanket. I can’t tell you how many guys I know that have bought this for their wives and it’s been the slam dunk every time. Check out the different colors here. This is like an exfoliating brush taken to 11. If your lady loves to give herself a treat with luxury beauty this is a great thing to get her. Plus you can all but guarantee that she doesn’t have one already. Pick on cup here, there are 6 colors in all. I first heard of sous vide cooking on MasterChef a few years ago. Now it seems to be everywhere. If you have a cooking genius in the family or someone who is always wanting to try out something new in the kitchen, then this is a great gift for her. Sticking with the spa at home theme, this is a nice gift set you can pick up a decent price. Complete with shower gel, bath salts and bubble bath, this gift set is perfecto for the women who doesn’t want any gifts. Grab your spa set here. If you have someone who could use a mini bag, this one comes in 9 different colors and is a great way to show you care. Check all of the leather crossbody bags here. If your lucky lady loves gold, then this bracelet would be a nice compliment to her jewelry collection. By adding the coordinates of a special place, this gift is beyond thoughtful. Not a fan of gold? It also comes in rose-plated gold and rhodium plated. I don’t know about you, but I’ve always wanted a pair of Ray-Ban sunglasses. They are sweet! These ones come in a variety of colors and sense sizes so you can easily pick and choose the right match. We just got some memory foam pillows and they have changed the way we sleep. If your pillows are getting older they likely have a lot of dust and other allergens in them. Pick up a new memory pillow and give her the gift of sweet dreams! See what pillows you can choose from here. Ok so we all know that a phone has a ton of bacteria on it. This case cleans your phone of all that bacteria. If you have someone who carries around sanitizer everywhere they go, then this might be the gift for them. Another nice addition would be either a stainless steel silver and gold initial necklace. This is a nice memento for her to carry around. It’s also very affordable. Did you know that if you freeze bananas and blend them up they have the same texture as ice cream? It’s delicious….especially when you’re going “all in” on your New Year’s resolution. Here is Yonanas fruit soft serve maker. We have made these “ice creams” before and they are the best! 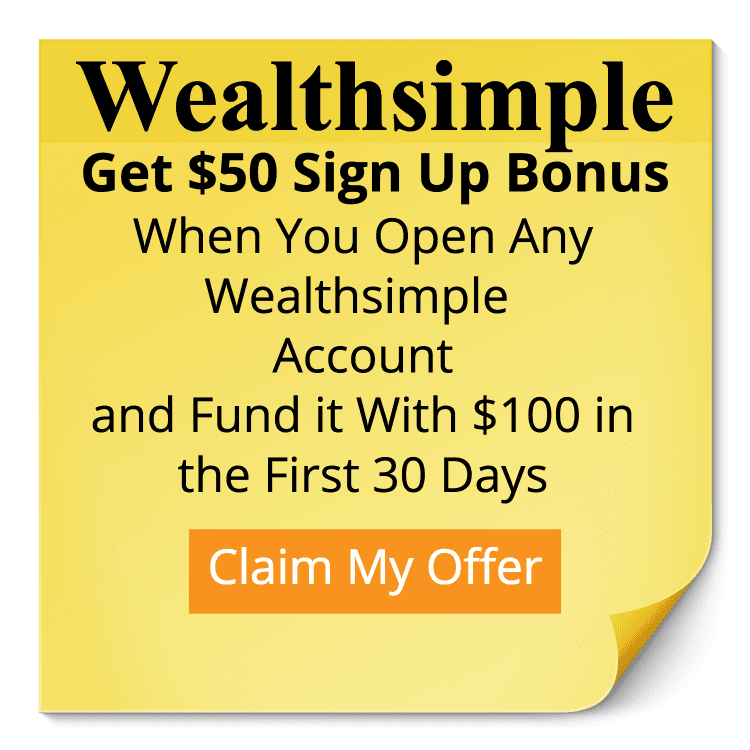 Check out what they can do here. This little guy saved us big time. You don’t realize the value of having your floor vacuumed every day until it’s done. A Roomba is the perfect thing to get someone who says they don’t want anything. It’s a great gift, it’s easy to set up, and your floors will be automatically cleaned whenever you want them to be. It also works with Alexa so that’s even more reason to love it. See all the great things about Roomba here. Ok, if I’m being 100% honest, I want these too. These headphones are so nice to look at. From what I’ve heard from friends the sounds is great as well. Most importantly there are NO ANNOYING WIRES! These headphones sync effortlessly with your iPhone and do exactly as they are supposed to do. If you are completely stuck on what to get, then this is a great gift idea for her! We love to sit and work on the couch with our laptops, but it’s hard to balance. This portable laptop lap desk comes in 6 different colors and is the #1 best seller in Lap Desks on Amazon. 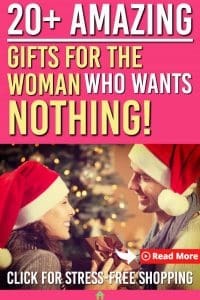 It’s sure to be a hit gift for the woman who wants nothing. Is there anything better than getting out of the shower to a nice warm towel? Maybe, but she will still love this one. A towel warmer is a nice way to take her existing bathroom and elevate it to a new level. See the different finishes here. She will likely love anything you get her because it comes from you, but if you are stuck grab the AirPods (just kidding, mostly). If you are still looking for the right gift you can find some other gift ideas here. Find this helpful? Share it so others can skip the malls and get their shopping over and done!